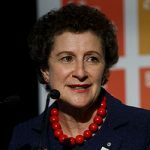 Susan Pascoe AM is the president of the Australian Council of International Development and former commissioner of the Australian Charities and Not-for-profits Commission. Susan Pascoe AM, Thursday, 21st June 2018 - We need a world where people affected by sexual misconduct are empowered to say “enough is enough”, writes Australian Council for International Development president Susan Pascoe AM. Susan Pascoe AM, Tuesday, 20th October 2015 - With the more than 54,000 registered charities in Australia and the number of new organisations growing rapidly, the Commissioner responsible for registering them, Susan Pascoe AM, shares her top tips for people to consider before deciding to start a charity.